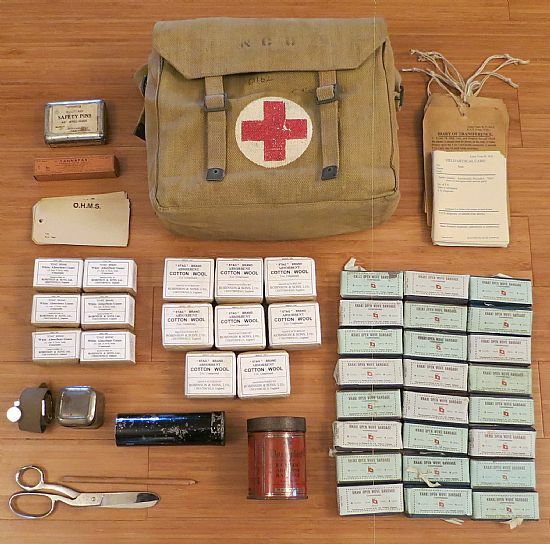 The 1942 Pattern, Haversack, Surgical, Airborne to give its official name, was the first medical pack issued to the Airborne Medical Services. 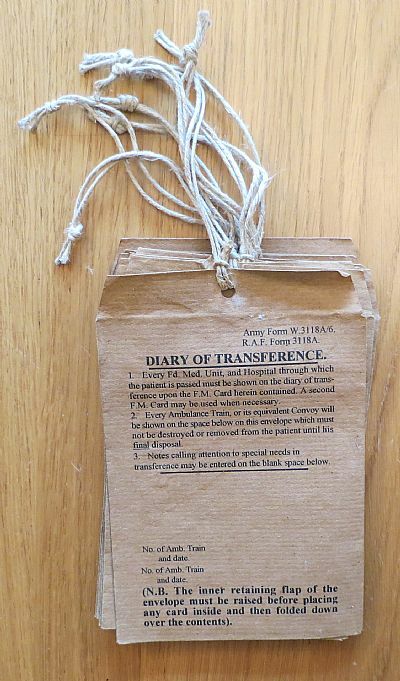 This was before the standard Don & Sugar packs were adopted into general service. Seen here with 'NCO' (Non Comissioned Officer) marked on the lid. 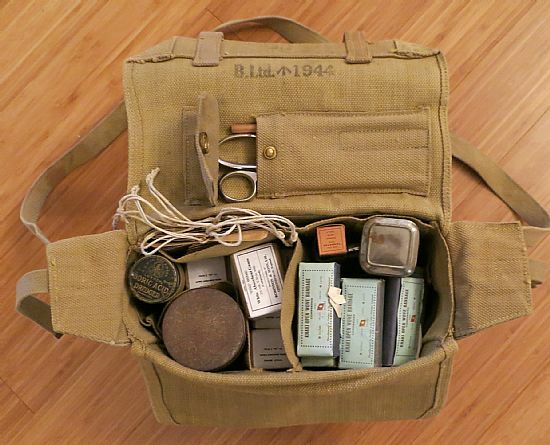 These markings may have been applied post war, as these packs (with different contents) were used by the British Army well into the 1980's. 1) Sulphanilamidum pulvis 4 oz. 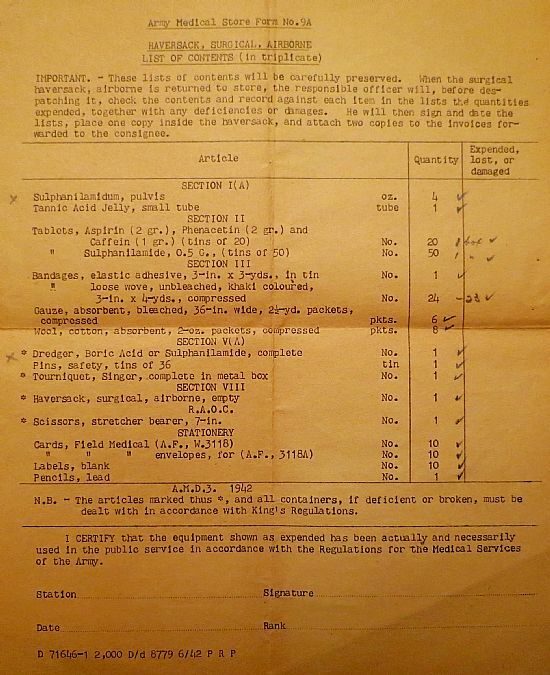 2) Tins of 20 x Aspirin, Phenacetin & Caffein tablets. 3) Tin of 50 x Sulphanilamide tablets. 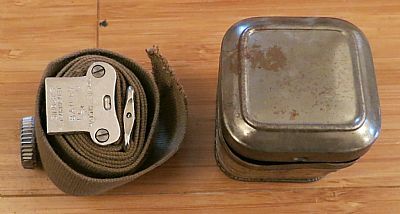 Above: 24 x khaki coloured bandages, loose woven. 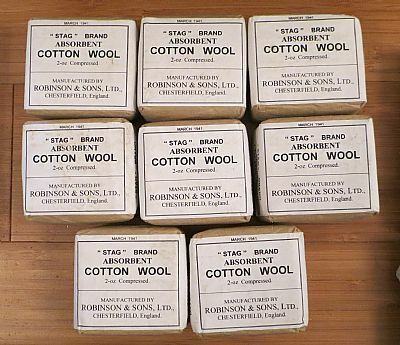 Above: 8 x Cotton Wool packets, compressed. 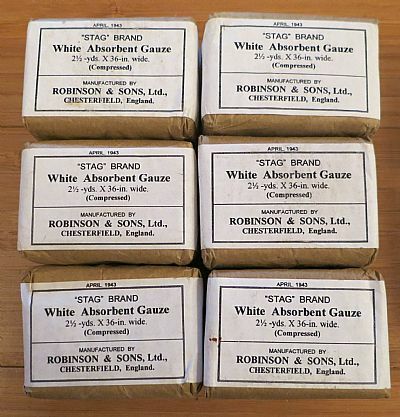 Above: 6 x White, absorbent gauze packets, compressed. 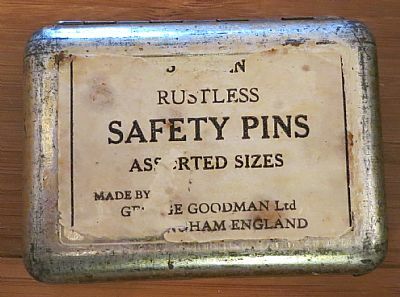 Above: Tin of 36 safety pins. Above: Small tube of "Tannafax" tannic acid jelly. 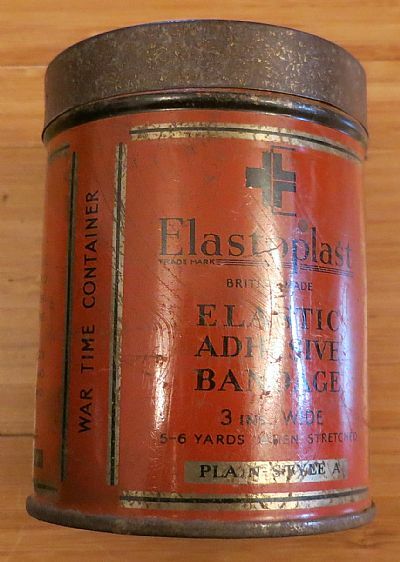 Above: Tin of 3 inch elastic adhesive bandage. 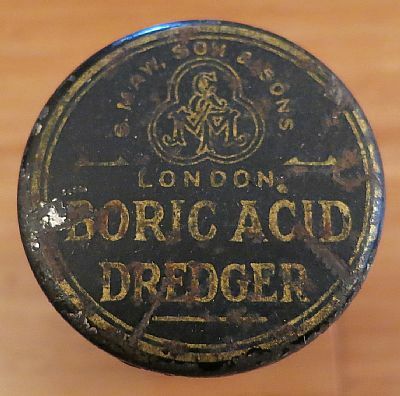 Above: Boric acid dredger. Sulphanilamide powder was also used. Above: Singer tourniquet & tin. Above: Stretcher bearer scissors, 7 inch. 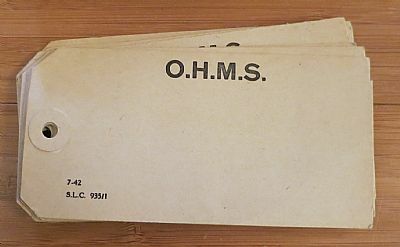 Above: 10 x Envelopes for Field Medical Card, AF W3118. 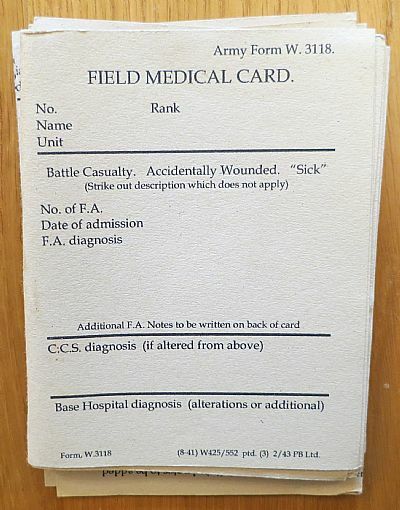 Above: 10 x Field Medical Cards, AF W3118. 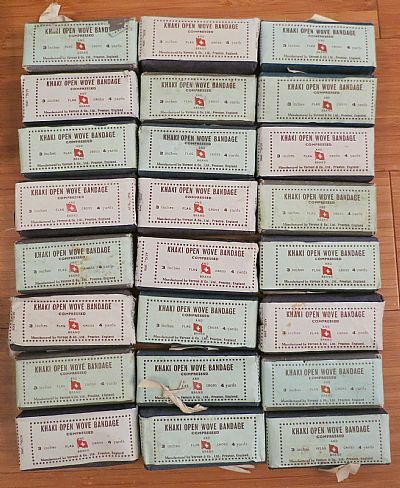 Above: 10 x Blank labels. 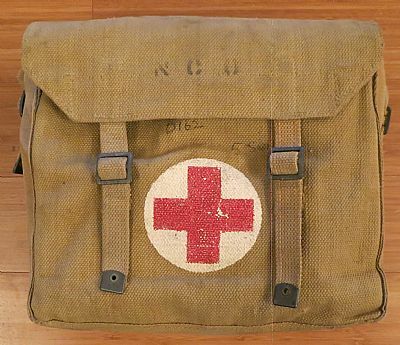 Above: The Surgical haversack showing where the contents were stored.